HP 489192-001 FC Fibre Channel kopen? | That's IT! Gebruikt maar in absolute nieuwstaat. Wordt bulk in antistatische verpakking geleverd. 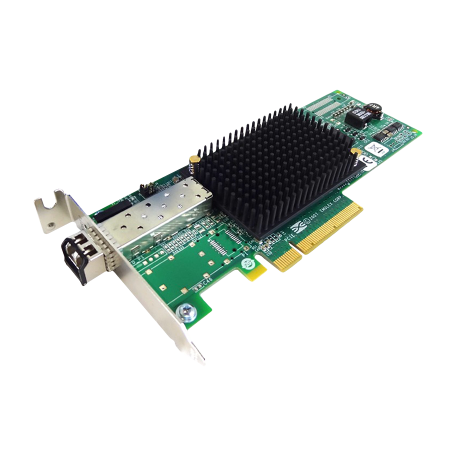 Streamlined installation and management, unrivaled scalability and industry-leading virtualization support make the single-channel Emulex LightPulse LPe12000 Fibre Channel Host Bus Adapter (HBA) an ideal solution for enterprise, mixed-operating system (OS) and virtual server environments. With powerful management capabilities and broad platform support, they deliver maximum performance in the broadest range of applications and environments. Emulex LightPulse HBAs' highly integrated processor design minimized onboard components to improve host performance and efficiency. Advanced error-checking features ensure the integrity of block data as it traverses the Storage Area Network (SAN). Emulex's firmware-based architecture enables feature and performance upgrades without costly hardware changes. The unique Service Level Interface (SLI™) allows use of a common driver across all models of Emulex HBAs on a given OS platform. Installation and management facilities are designed to minimize server reboots and further simplify deployment.